The South Fork and Middle Fork of the American River are the two most popular river trips in California. With upstream dams that release reliable water flows all Summer and into Fall, the South Fork and Middle Fork are your best choice for the best rafting in California. 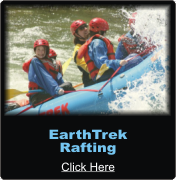 The South Fork is an excellent choice for first time rafters, families and groups looking for a trip with fun and exciting rapids at an affordable price. The Class IV Middle Fork American is another excellent choice for rafters looking for more whitewater action in a wilderness setting. To get the most out of your whitewater weekend consider a combo trip rafting a day on the Class III South Fork along with a day on the Class IV Middle Fork. 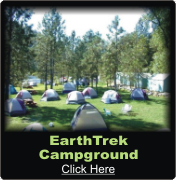 Book an overnight trip and you can enjoy EarthTrek Expeditions river front camp with a grass lawn to set up your tent or you can rent deluxe cabin tents with beds or unique mini-cabin tents on decks at the rivers edge. With fun rapids, a long season with excellent water flows, and luxury camping, it's easy to see why the American River provides the best rafting in California. The South Fork American River is located on the western slope of the Sierra between Sacramento and Lake Tahoe. The South Fork American River flows past historic Sutter's Mill where James Marshall started the Great California Gold Rush with his discovery of gold in 1848. Over 30 rapids, from mild to wild are encountered on the 21 mile journey from Chili Bar to Folsom Lake. Class IV excitement in a pristine wilderness canyon plus the famous Tunnel Chute makes the Middle Fork an excellent choice for rafters looking for a step up from the South Fork. With our deluxe Campground on the South Fork as our base we explore a different river each day. Raft the incredibly beautiful Class IV+ North Fork American on our 1 day trip that includes lunch.